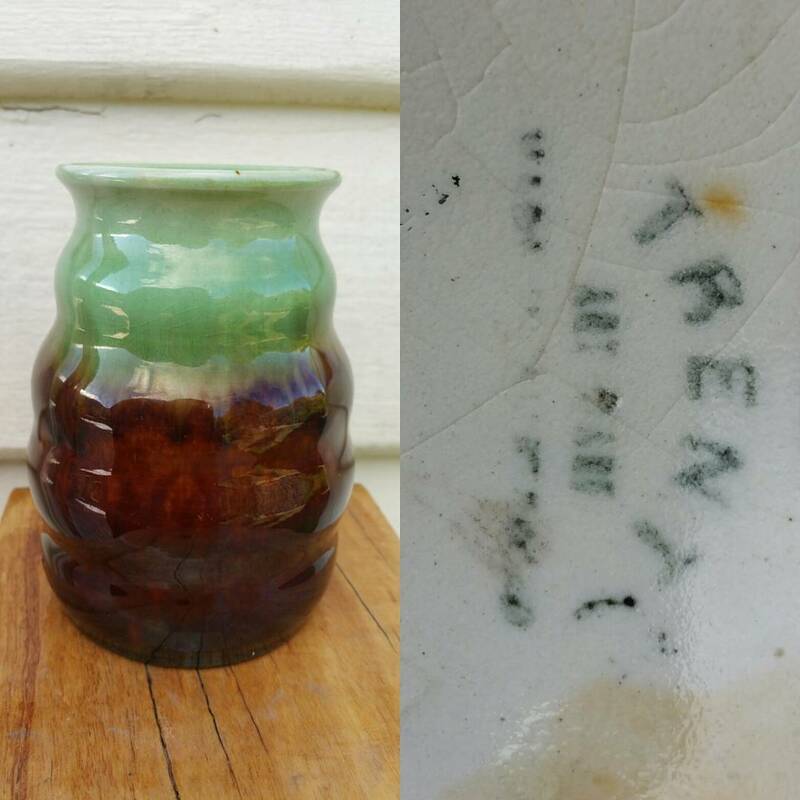 Photo Caption: Day 16: Today’s piece is by Bakewells of Erskinville NSW under their Trent Art Ware label which was nothing more than a rebranding of the Newtone line of wares after WWII. This exact shape in this exact colouring would have been produced in the Newtone range some 10 years earlier. Circa mid to late 1940’s. 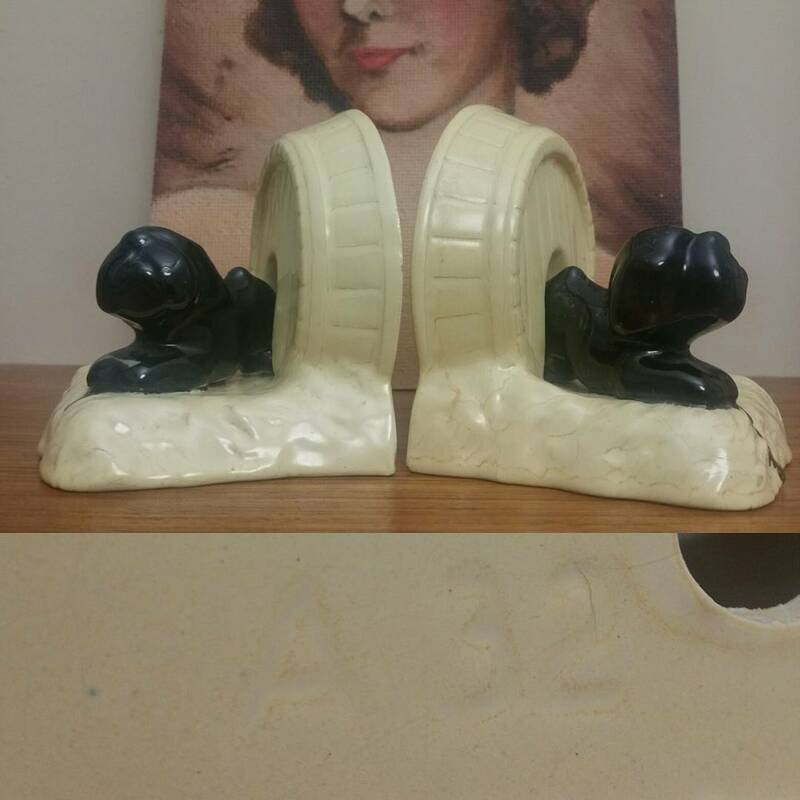 Photo Caption: Day 14: Today’s piece is an early set of resting bulldog bookends by Marrickville base pottery Diana. Unmarked but carries the impressed shape number A32. The A prefix being A for Animal. Circa early 1950’s. 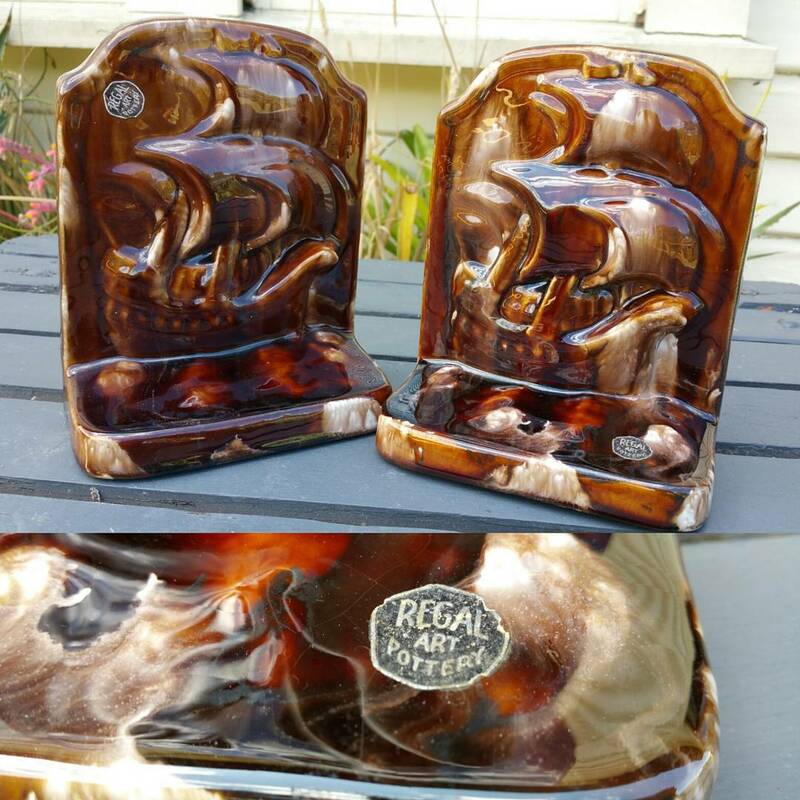 Photo Caption: Day 13: Today’s piece is a pair of pretty rare bookends by Sydney based pottery Mashman Bros from their Regal Art range circa 1930’s. My first purchase of the year and I’m more than chuffed. Thanks to my new best friend Ludo for helping me out. Photo Caption: Day 10: Today’s piece is actually 3 pieces all made by Modern Ceramic Products (known to collectors, and usually marked MCP) under licence from Disney some time after 1947. 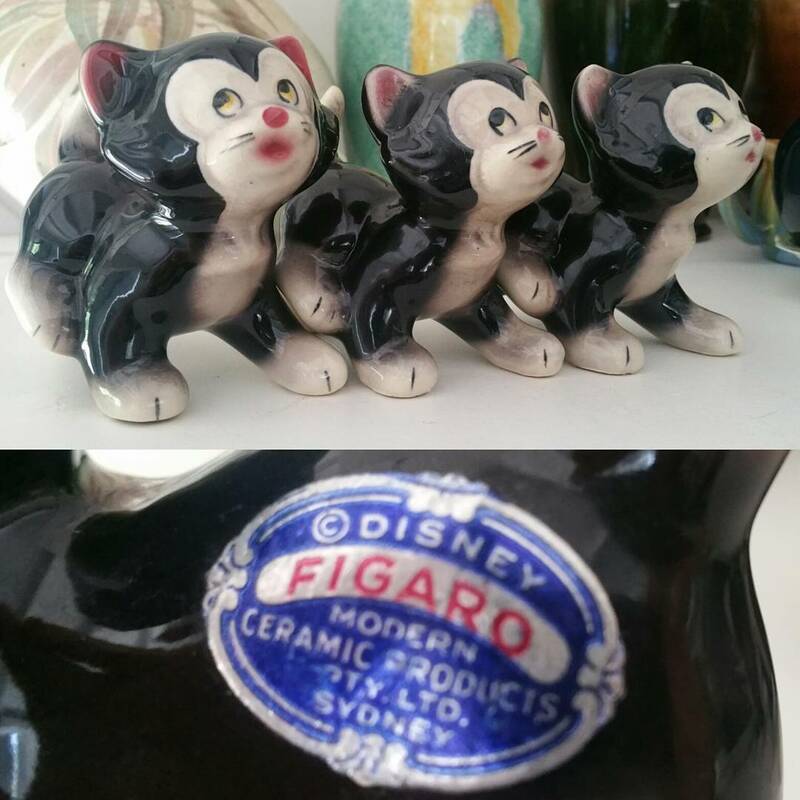 The character is Figaro who as well as staring in various short films is Minnie Mouse’s cat! Except for some of the larger pieces they weren’t marked except for a blue foil label with the characters name on it which would have been the first thing to go when you got it home. Subsequently pieces with their original labels on are hard to find. Although many of the figures were locally designed this piece is a direct copy of the figure produced by Evan K Shaw in the USA around the same time. 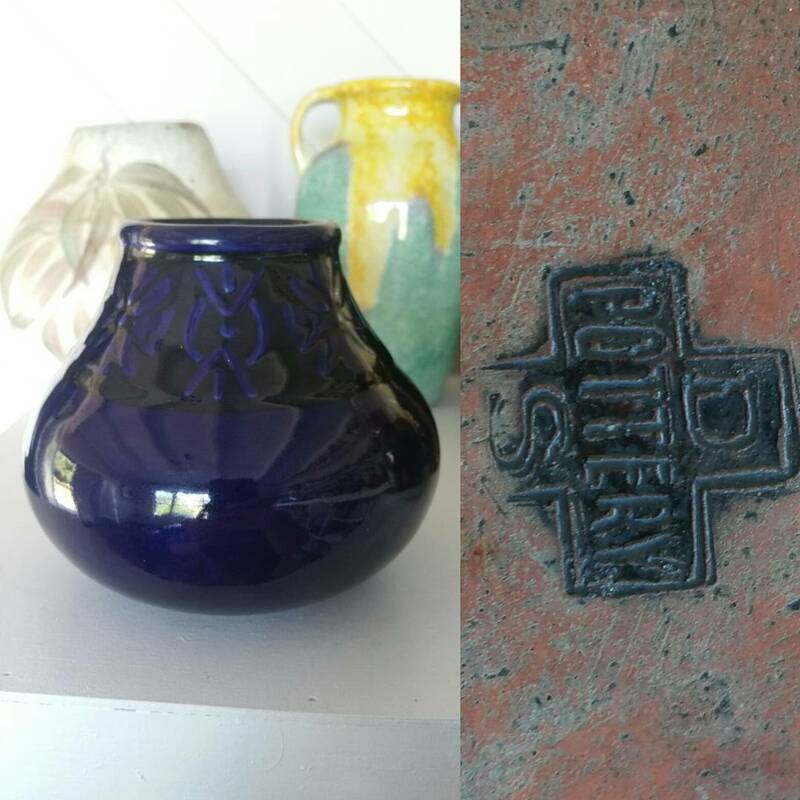 Photo Caption: Day 9: Another piece by the Disabled Soldiers Pottery, Redfern, NSW with a deep cobalt blue glaze and unusual embossed design around the rim. Circa 1920. 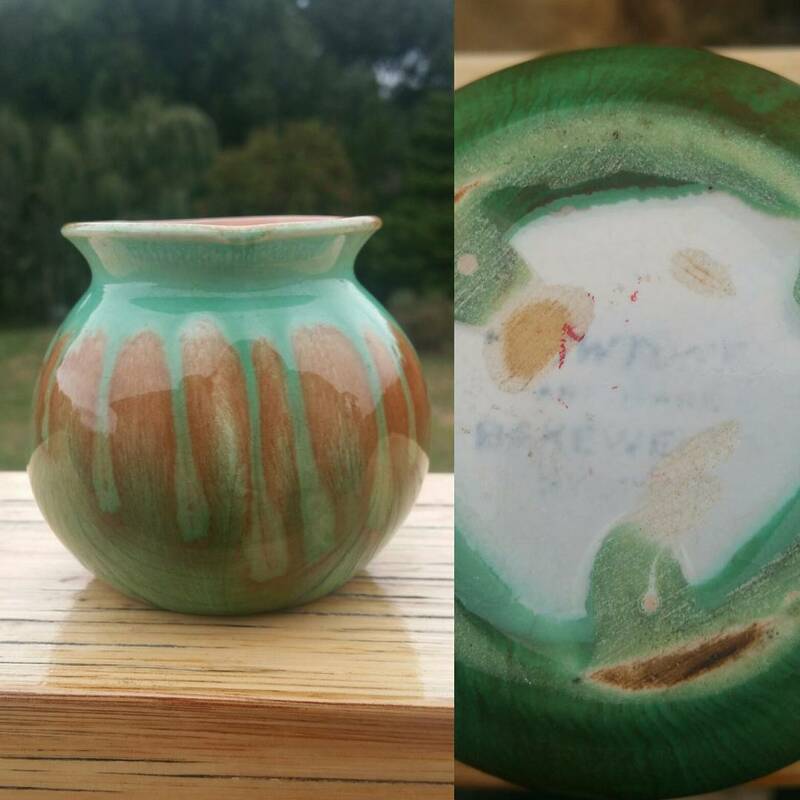 Photo Caption: Day 8: Today’s piece is from a pottery which pretty much started my collecting obsession and is where my IG handle comes from. 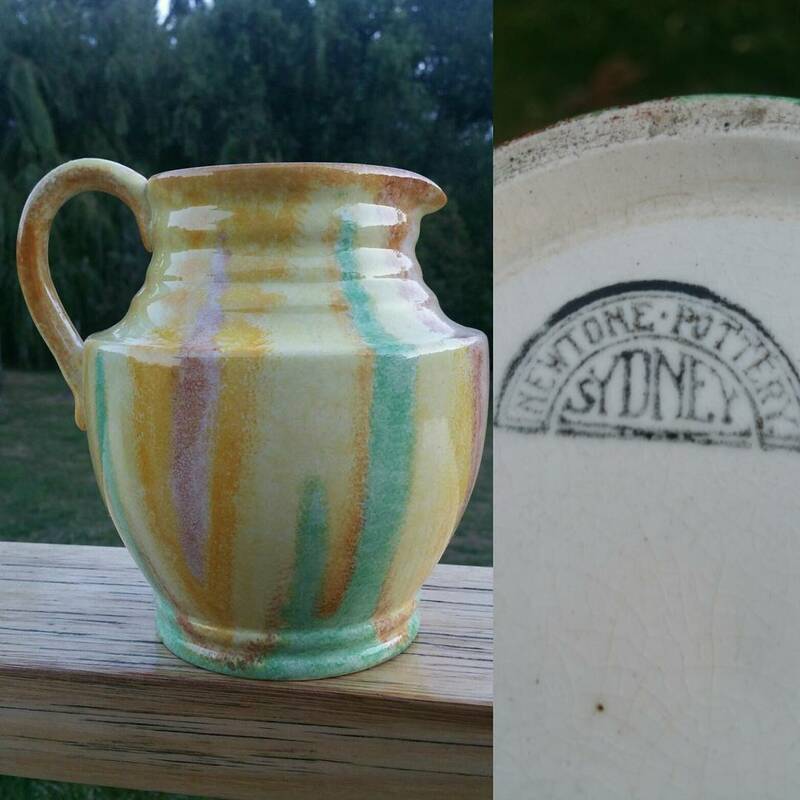 Produced by Bakewell Bros of Erskinville NSW under their Newtone Art Ware label circa 1935. 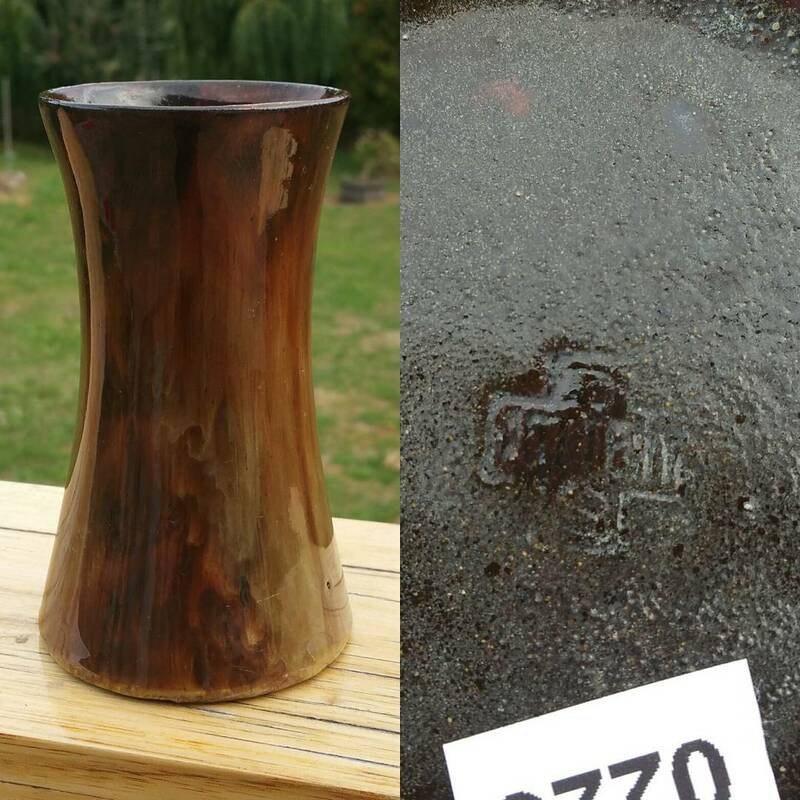 Photo Caption: Day 7: Today’s piece may not look it but it is pretty special. 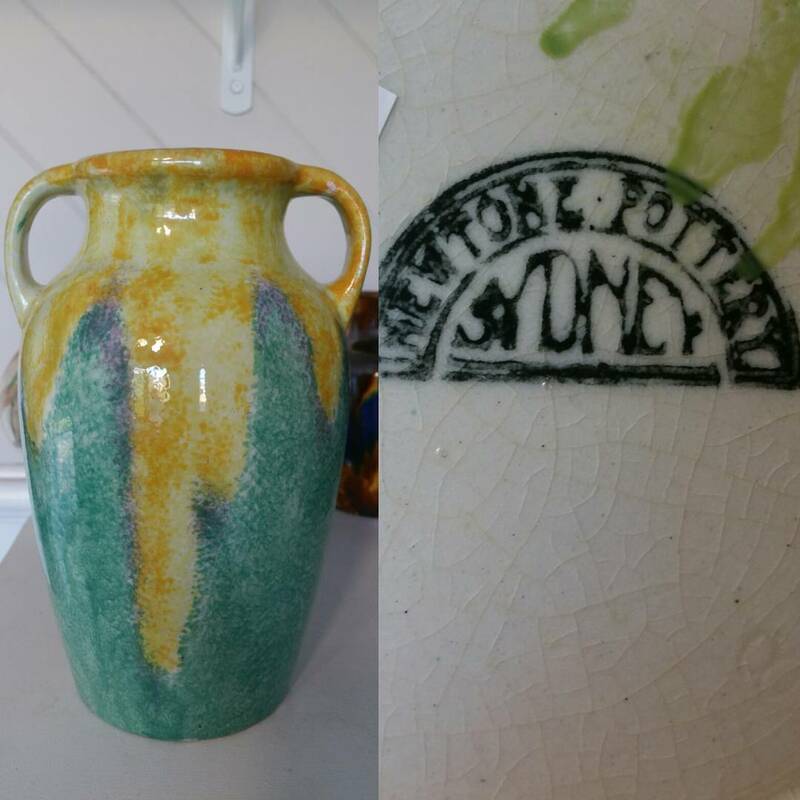 Started around the end of the first world war the Disabled Soldiers Pottery was an initiative of the Red Cross in Redfern NSW to provide work for returned soldiers suffering from severe war related injuries (usually amputations that would have made them unsuitable for other work). Circa 1920. Photo Caption: Day 3: In my opinion one of the best architectural potters working in Australia in the 1970’s had to be Vladimir Tichy. Working in Parramatta, NSW in partnership with Rudolph Dybka studio Dybka Tichy produced some absolutely monumental works right around the country. Sady due to the relentless march of progress most of these big installations are long gone and most of what we are left with is little gems like this piece. 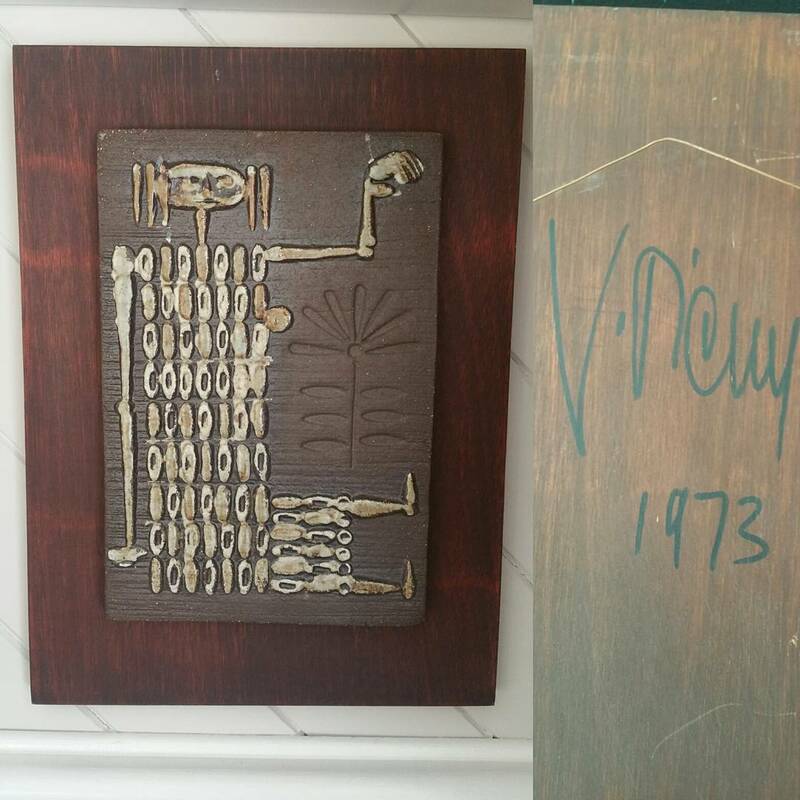 Signed V Tichy 1973.